Here's a more in-depth description of the external obliques (ext. obliques) for someone who really likes anatomy. If you are not really familiar with anatomy, read the introduction to abdominal muscle anatomy. The 4 main muscles of the front of your stomach are the rectus abdominus, the internal obliques, the transverse abdominus and the external oblique muscle. The Ext. Oblique Muscle originates (starts) on the external surfaces of the lower 8 ribs, and it inserts (finishes) on the linea alba, pubic tubercle, and the anterior half of the iliac crest. It gets its nerve supply from the inferior 6 thoracic nerves and the subcostal nerve. (contralateral rotation), and bend the spine to the side (lateral flexion). Let's talk a little more about each action. Every abdominal muscle will compress the abdominal contents. This helps with bracing the spine and keeping the pelvis and lower back stable. For example, if someone were to act as if they were going to punch you in the stomach, you would tense up your abdominal muscles to brace yourself. When you ext. obliques contract they can help to brace your ribs, pelvis and lower back. This is an important role for protecting against back pain. Flexion simply means bending. When your ext. obliques contract, they can pull your spine forward like in crunches or sit ups. The obliques actually work really hard even when you are moving in a straight line. The ext. obliques are sometimes considered phasic muscles. All this means is that their primary role is movement and their secondary role is stability. The external obliques work really hard to help your spine move in many directions and they will work during every ab exercise. Even though the ext. obliques work during every ab exercise, you can emphasis the obliques when you add a twisting or rotation motion. The external oblique muscle rotates your body to the opposite side. What this means is that the external oblique on the right side of your body will turn you so that you face towards the left and vice versa. When you flex and rotate like in bicycle crunches or oblique crunches, the obliques work at maximum capacity. The internal obliques rotate the body to the same side, so the ext. obliques on one side and the internal obliques on the other side work together when you twist or rotate your body. In addition to working at maximum capacity when you flex and rotate, you obliques also work at maximum capacity when you bend to the side, like in standing dumbbell side bends. The obliques also work at maximum capacity when you perform side crunches on a stability ball or side planks. When you look at the actions of the external obliques, it is easy to see why it is such an important core muscle. It will work during every ab exercise, but remember that no ab exercise can magically melt fat from your love handle area. Spot reduction is the #1 ab myth. Ab exercises help to strengthen your abs, not spot reduce fat. I hope this gives you an even better understanding of abdominal anatomy. 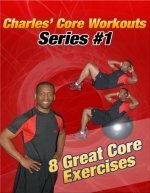 If you're looking for ab exercises, check out the Directory of Abdominal Exercises.